If large trades and large traders move or stop the market, isn't it important to be able to see their activity? Traditional Volume: shows volume only and for all trade sizes - can't isolate the large trades from all others. 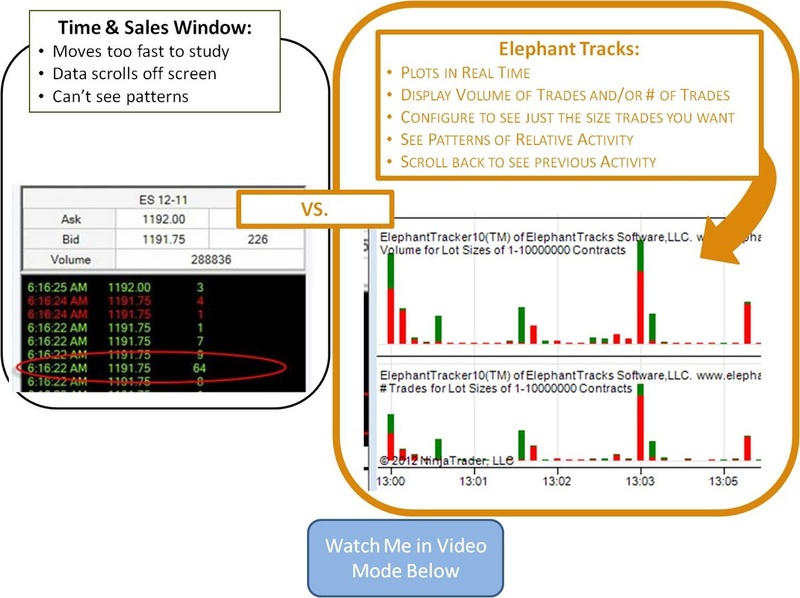 T&S (time and sales): shows each trade and its size, but the data updates so quickly you can't often see it. Data scrolls off the screen, difficult to see any patterns.